Online gaming is still prohibited at many countries and therefore payment operators don’t readily deal with casino sites. They risk being scrutinized by some governments if they choose to process gambling transactions. As a result, some of the most recognizable banking solutions can’t be used to purchase casino credits. This Scottish company has entered the market in 2012 and quickly gained popularity with users inside Scotland and abroad. Today their services are the first choice for billions of users and wide range of merchandise. Payeer isn’t always cheap to use, but their major advantage is convenience. Having Payeer account would enable you not only to purchase goods and services, but also fund accounts through variety of other payment processors. It’s extremely easy to upload money to Payeer and withdraw. Topping up your account won’t be a problem as there are numerous options available, some of them are world popular banking methods. And if you can’t find one method which is perfect for you, there’s always the opportunity to use exchange services and get funds uploaded to your account. Some companies don’t like the idea of exchangers when their customers can send money to third parties and have them credited to other accounts. But Payeer welcomes this type of practice. There are dozens of exchangers which you can use to get money on Payeer balance. And all of them are listed on the company site, so you can be confident of the reliability of those exchangers. Third parties offering exchange services accept wide range of banking solutions, including WesternUnion. One thing is obvious – you will always be able to get funds in your Payeer account. When withdrawing money from your account the same exchangers can be utilized. 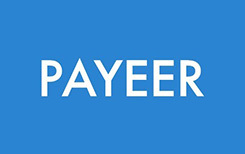 If you would rather deal directly with Payeer, the company can transfer your cash to VISA, other cards and e-wallets. However, this type of services isn’t free, and you can expect pretty high rates at times. There’s nothing difficult about using and navigating their site. It has carefully thought out design and all features are just a couple of clicks away. To become a member, you’ll need to provide your email. That’s basically it. No other commonly required information is asked, which makes the whole process last for seconds. They don’t even want to know your name. In just a few moments all features will be unlocked and you can start using the services. This lightning speed is one of major Payeer’s advantages. After you are done with singing up, proceed to uploading some money. You’ll need to choose a corresponding option and enter desired amount and the currency. All available options will be listed once you select “Add” option. You are typically offered some e-wallets, credit cards and 20+ exchangers. When you need to purchase casino credits, there shouldn’t be any problems as well. The process is well familiar to anyone who has ever paid online. Apart from paying directly from their Payeer accounts, customers can opt for another option, which is creating a MasterCard card. It won’t cost you a penny if you will decide to get a card. The company will issue, maintain and activate it for absolutely free. The only cost you have to pay is $9.45 regular or $44.95 express delivery. And even these expenses are optional as you can instead have a virtual card. However, in this case paying at offline stores will be impossible as well as cashing out. The services were designed with customer convenience in mind. Using Payeer is a real joy except for the moments you see high exchange costs. Everything else is simple and flexible. It’s a very useful option for online casino players because they can sign up with almost any operator if they use exchange services. The services can be accessed by almost everyone around the globe as there are no restricted countries. As a young company, Payeer has experienced considerable growth and is capable of competing with the industry mammoths. The company has plans to further expand global presence by partnering with more businesses. No payment processor is perfect. Payer is not an exception. Withdrawing funds to your VISA or other accounts can be way too expensive. The company can charge 10% fee, which is a lot. But some users are happy to pay even such high price as they have no other suitable options.